Thanks to Rich Beckman I've discovered Surging Seas, an interactive tool by Climate Central and Stamen. 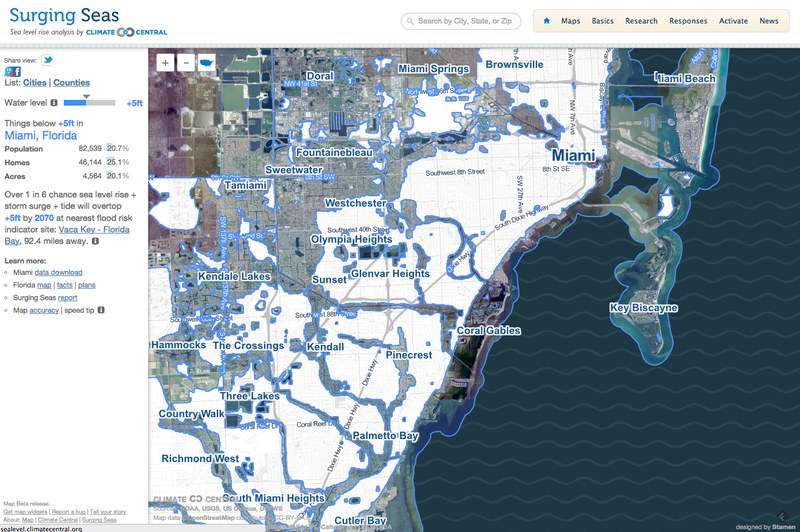 Living in Miami, the first thing I did was to play with this part of the project, and discover that our house would be threatened if sea level rises around 4-6 feet. Notice that you can explore plenty of states and cities, and overlay variables such as income, population density, etc., and download data sets. Impressive.